So, I decided to make this clean eating salad for myself with my own twist – with essential oils, of course. 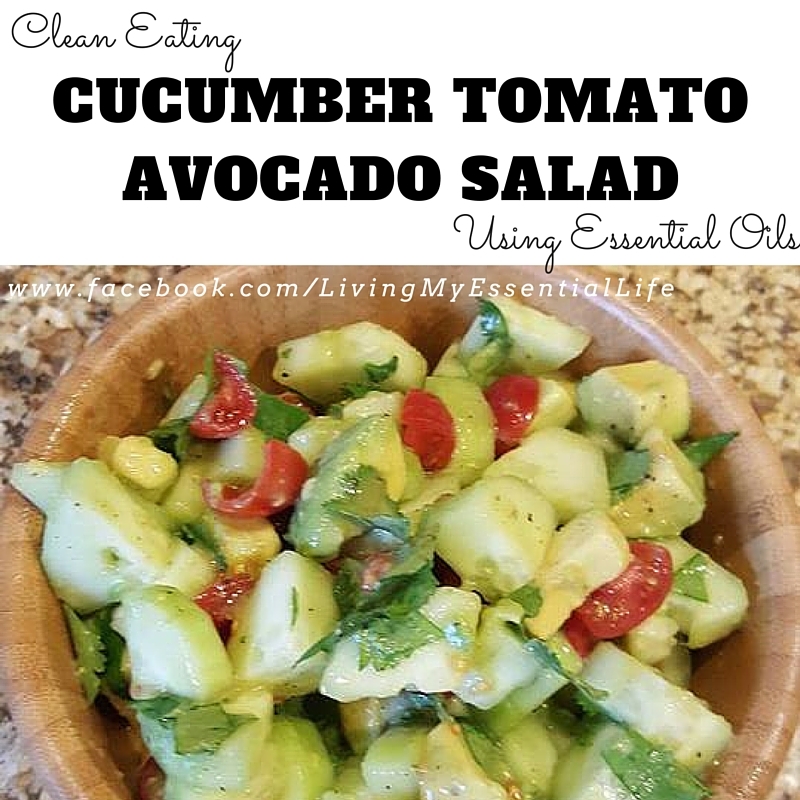 Here is the list of ingredients you will need to make this cucumber, tomato and avocado salad! Clean all your veggies and cilantro! Add your diced cucumber, tomatoes and avocado to a medium bowl. Chop up the cilantro and add to bowl. In a small cup, add the juice from ½ lemon, Basil and Lime Essential Oils, garlic powder, salt and pepper. Stir up the mix and then pour over the veggies. Toss the salad very gently. Watch the preparation video below!